According to a report being launched later this month, the majority of British Sikhs believe that the British Government should give a formal apology for the Jallianwala Bagh massacre, which took place 100 years ago today. The seventh annual British Sikh Report (BSR) is the only robust strategic document of its kind. Based on the results of a survey of over 2,000 Sikhs throughout the country, it aims to provide quantitative data about the British Sikh community at large. This year’s report has included British Sikhs’ views on various anniversaries over the course of 2019, including the Jallianwala Bagh massacre of 1919. Also known as the Amritsar massacre, it saw hundreds of Punjabis at a peaceful gathering shot dead by members of the British Indian Army. 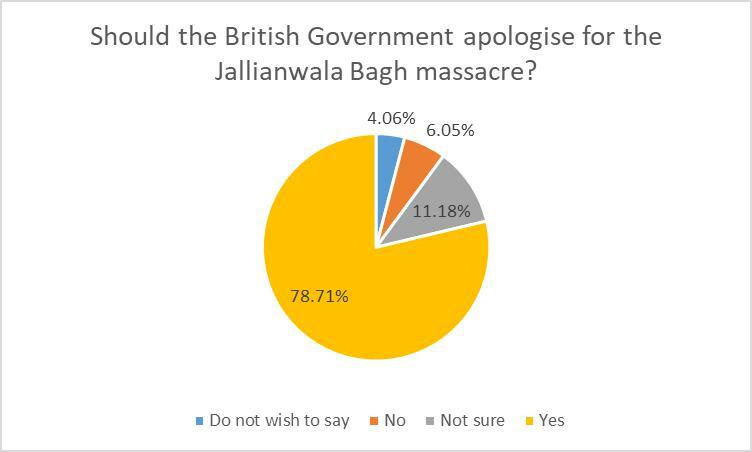 78% of respondents stated that the British Government should apologise for the Jallianwala Bagh massacre. 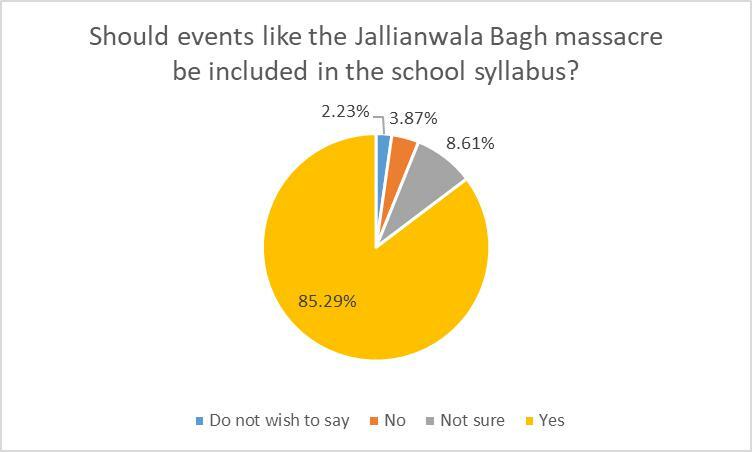 Furthermore, 85% of respondents stated that events like the massacre should be included in the school syllabus. An online questionnaire was created by an independent team, using societal and community-based knowledge of issues effecting the Sikh population. Academic bodies, third sector organisations and various corporations were then invited to give their input on questions within the report, before it was disseminated to the wider Sikh population. The British Sikh Reports from previous years are available to download from www.britishsikhreport.org. An event on Tuesday 23rd April from 7pm to 9pm at Committee Room 14 in Parliament is being co-hosted by Pat McFadden MP and the Shadow Chancellor John McDonnell MP where politicians from across the parties and grassroots activists will discuss the report and share their thoughts on the British Sikh community. If you wish to attend the event, please contact us at info@britishsikhreport.org and we would be happy to facilitate that.